Books read recently. – Putting Society up to the light of scripture. “THE BODY. being light in Darkness” by Charles Colson. a True story I couldn’t put down. 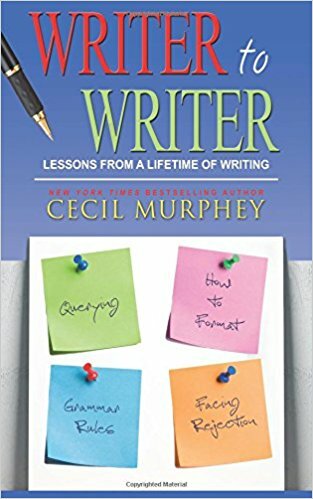 Veteran author Cecil (Cec) Murphey made a double commitment when he started writing professionally: (1) He would never stop learning and improving, and (2) He would do whatever he could to help other writers. The faith that gave birth to tolerance is no longer tolerated! * Ten Commandments taken down, “Under God” removed from Pledge, Prayer prohibited, Nativity Scenes banned, Religious Art & Music censored, Salvation Army & Boy Scouts defunded, Christmas carols disallowed… * How did America go from Pilgrims seeking freedom to express their Christian beliefs to today’s discrimination against those very beliefs in the name of tolerance? “From its beginning, the new continent seemed destined to be the home of religious tolerance. Those who claimed the right of individual choice for themselves finally had to grant it to others. A scathing indictment of the growing role of junk science in our courtrooms. Peter W. Huber shows how time and again lawyers have used—and the courts have accepted—spurious claims by so-called expert witnesses to win astronomical judgments that have bankrupted companies, driven doctors out of practice, and deprived us all of superior technologies and effective, life-saving therapies.